With the ignition switched on, press switch 3 on the required seat. The indicator light in the switch lights up. 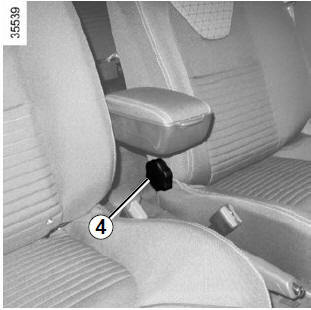 Turn control knob 4 and tilt the seatback to the desired position. press on the back of the seatback to lock it in place. Make sure you lock the seatback properly. Make sure the seat is correctly locked in position. 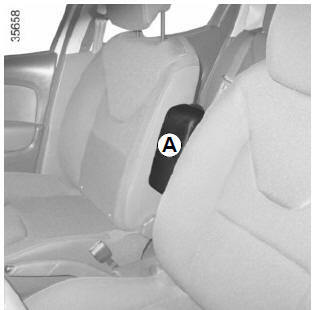 When the front seat is in table position, the front passenger air bag must be disabled (see information on “Child safety: activating/deactivating the front passenger air bag” in Section 1). 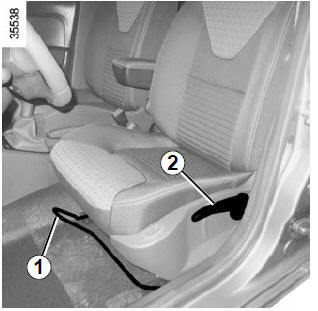 Risk of serious injury caused by items resting on the seatback table which may be dislodged when the air bag is deployed. 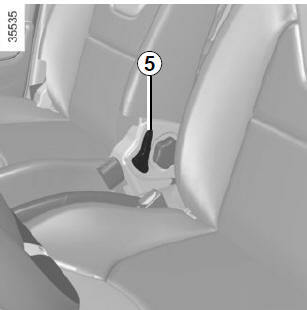 Lift armrest to the desired position. 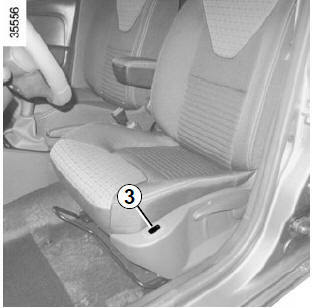 Lift the armrest to the storage position along the seat back, then lower it. 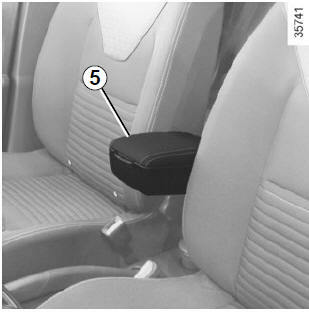 Lift the armrest to the storage position A. Check that it is correctly locked.